All metal components are Sterling Silver - beads, headpins, bead caps, chain, dragon fly dangle, clasp. Beads are Czech rondelles and pearls, Swarovski Crystals in Indian Pink. The length of this piece is adjustable to suit 16-18cm wrist. 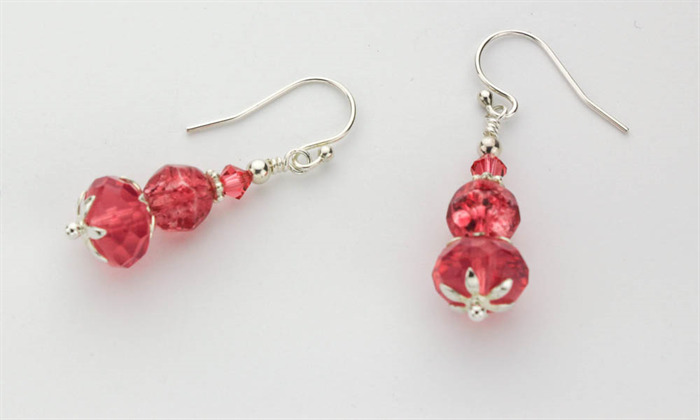 Matching Earrings - Incorporates the same materials as the Bracelet. They hang 3cm beneath the Sterling Silver earring hooks. Each earring weighs 2.5g. 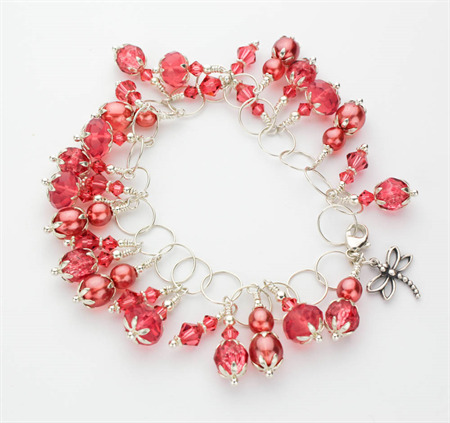 Relevant Categories - Bracelet, Matching Earrings, Sterling Silver, Dragon Fly, dangle, Czech, pearls, Swarovski Crystal, Indian Pink, Pink bracelet, elegant bracelet, classic bracelet, smart bracelet, work bracelet, smart casual bracelet, original bracelet, one only.